"Hey Dahmer, what's in the bag?" 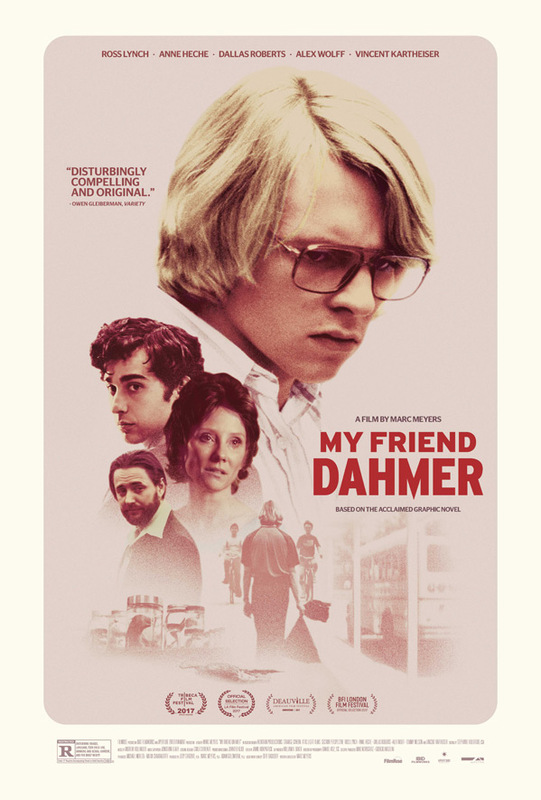 FilmRise has released a new official trailer for a creepy new indie thriller titled My Friend Dahmer, which has been playing at numerous film festivals all year long. The film is based on an acclaimed graphic novel and tells the early, teen story of the serial killer Jeffrey Dahmer, who murdered 17 men and boys in the Midwest United States between 1978 and 1991 before being captured by police. Before he became that killer, though, he was a shy, alcoholic teen who never quite fit in. This is the true, haunting "story before that story" of Dahmer in high school. Ross Lynch plays Dahmer, and the cast includes Anne Heche, Alex Wolff, Dallas Roberts, Vincent Kartheiser, Miles Robbins. I saw this recently and it's good, but much more of a high school drama than a serial killer thriller. Still worth a look. You can still watch the original teaser trailer for My Friend Dahmer here, for a different look at footage. 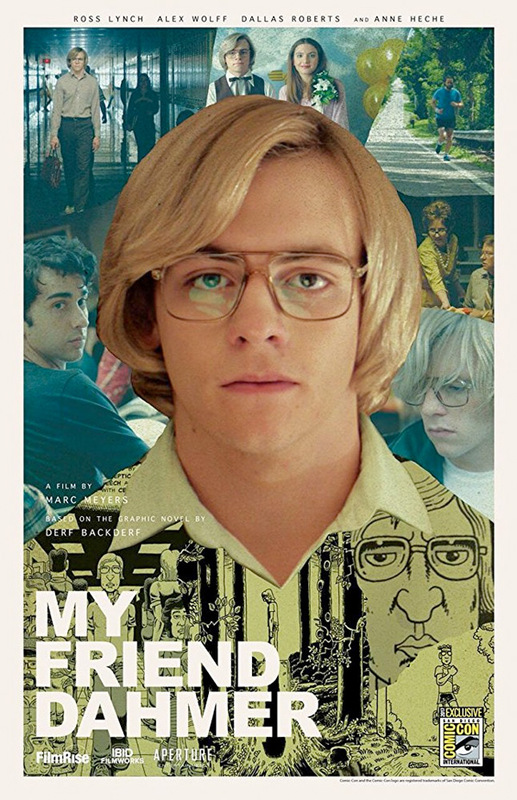 Jeff Dahmer (Ross Lynch) is an awkward teenager struggling to make it through high school with a family life in ruins. He collects roadkill, fixates on a neighborhood jogger (Vincent Kartheiser), and copes with his unstable mother (Anne Heche) and well-intentioned father (Dallas Roberts). He begins to act out at school, and his goofball antics win over a group of band-nerds who form The Dahmer Fan Club, headed by Derf Backderf (Alex Wolff). But this camaraderie can’t mask his growing depravity. Approaching graduation, Jeff spirals further out of control, inching ever closer to madness. My Friend Dahmer is both written and directed by up-and-coming filmmaker Marc Meyers, of the films Approaching Union Square, Harvest, and How He Fell in Love previously. Based on the acclaimed graphic novel by Derf Backderf. This first premiered at the Tribeca Film Festival this year, and also played at the LA Film Festival. FilmRise will release My Friend Dahmer in select theaters + on VOD starting November 3rd this fall. Who's interested?